"Where Sympathy Is Expressed Through Sincere Service "
Be the first to share your favorite memory, photo or story of Viola. This memorial page is dedicated for family, friends and future generations to celebrate the life of their loved one. Mrs. Viola Story Avera departed this life on Wednesday, February 6, 2019 at home. She was born on Wednesday, September 12, 1934 to both the late Allene Nash and Charles Story. Viola was raised in Stapleton, GA, and attended school in Jefferson County, GA. She joined the Harts Grove Baptist Church of Stapleton, GA at an early age, and remained a faithful member throughout the years. Still very much a young woman, Viola relocated to Thomson, GA where she lived until her untimely passing. During her employment years, she worked at laundries, as a school lunchroom cook and for the former Uniroyal Incorporated plant of Thomson, GA to name a few. Viola was united in holy matrimony to the late Andy Avera. She encompassed a pretty large family. From her very own children to her great-great-grandchildren, she had love for all. As the matriarch of the family, she instilled the qualities in each that are needed to survive. She taught them how to remain as a unit and stay strong together. Even with all the love she gave to her family, she still had so much more love to give. Viola adopted several families and many devoted friends earlier on in life as her own family. Some has passed, but many are still living. The Wilson Family, the Nelson Family, the Brinson Family and Brenda Ivey, all of Thomson, GA are considered as family. Viola was blessed to live to see many generations. It was the fifth generation whom she gave names from her heart: Shyion Hart “Sugar Lump”, Shyane Hart “Sugar Daddy” and Ajah Simmons “Sweetie.” She proudly requested that the expected March- new-born be named “Viola” in her honor. With God’s blessing, her wish shall be granted. 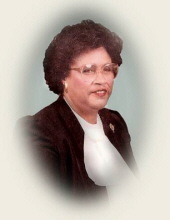 She is preceded in death by a son, David U. Avera; three sisters, Linnie Douglas, Johnnie Mae King and Roberta Neal; two brothers, Marvin “Chick” Story and James Nash. Those left to cherish a lifetime of beautiful memories: five daughters, Evelyn D. Hatcher, ChiEngle (Willie) Pinkston, Deborah Lipscomb, all of Thomson, GA, Abby Avera of Grovetown, GA and Brenda Frails of Augusta, GA; sons, three sons, Jimmy D. Avera, Perry B. Avera, both of Thomson and Kenneth K. Avera of Germany; nine granddaughters, DaKeisha “Keyda” Hatcher, raised as her own daughter, Jazlyn Avera, Sherkineta Lipscomb, all of Thomson, GA, Quanise (Tremayne) Story of Grovetown, GA, Monica (Dale) Grogan of Jacksonville, FL, Omeeka (Eric) Loggins of Augusta, GA, Shannah Pinkston of Atlanta, GA, Jacqueline D. Avera of Germany and Kiffany Avera of Evans, GA; six grandsons, Petrell Avera, Marquez Avera, Daquan Wright, all of Thomson, GA, Terrance Bennett of Augusta, GA, Kenneth Avera and Stephen Avera, both of Germany; twenty great-grandchildren; three great-great-grandchildren; one brother, Charles Wilcher of Waynesboro, GA; a devoted niece, Luretha Bell of Thomson, GA; two sisters-in-law, Cliffertine Story of Thomson, GA and Lillie Mae Files of Florida; one brother-in-law, Lamar Avera of Florida; a host of other nieces, nephews, other relatives and friends. To send flowers or a remembrance gift to the family of Viola Story Avera, please visit our Tribute Store. "Email Address" would like to share the life celebration of Viola Story Avera. Click on the "link" to go to share a favorite memory or leave a condolence message for the family.